Work on a proposed deal to acquire the AMP Technology Centre for the region continues as the deadline of the end of the month approaches. Rothbiz revealed first that Rotherham Council was looking to purchase the building that provides incubation space on the Advanced Manufacturing Park (AMP). The deal, for around £7m, will see authority acquire the asset using unspent funding from the Sheffield City Region (SCR) Combined Authority. The Council said it would secure local ownership and control of the incubation space and deliver a long term economic asset for the SCR that will support the growth and competitiveness of the Advanced Manufacturing Innovation District (AMID). 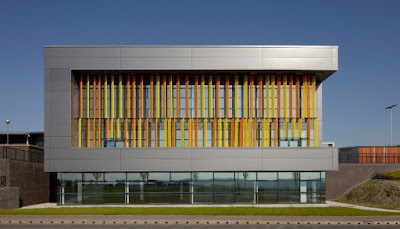 Initially developed by Yorkshire Forward, the AMP Technology Centre is now operated by Creative Space Management on behalf of the Homes and Communities Agency (HCA). The centre has been designed to accommodate a range of manufacturing-related activities, from fledgling engineering and technology companies, to University spin-offs and subsidiaries of established companies. The Government's Department for Business, Energy and Industrial Strategy (BEIS) decided to sell the national asset "as it does not align with their core business" and has tasked the HCA to carry this out. Rotherham Council identified the opportunity as a member of the steering group and with access to unspent money via the Combined Authority. Around £27m needs to be spent on capital projects by March 31. The University of Sheffield expressed an interest in purchasing the Centre, but have since withdrawn, leaving the Council as the sole interested party to purchase. Although final approval of the funding is still to be confirmed, discussions with the SCR have agreed that the funding will be available for the purchase of the centre at a price which is the "red book" valuation for the asset. A paper to Rotherham Council explains that discussions are still on-going with the SCR on ownership of the centre, post purchase and how the operating surplus the Centre is currently generating will be utilised. The asset could be gifted to the AMID or the Combined Authority in the future. Due diligence on the financial performance of the centre, and on the tax implications of the purchase, is being carried out. The occupancy rate for the centre is currently at around 74%, below the figure for recent years. This is due to the extra space in the recently opened Building 3, plus two of the larger tenants (The SCR team and Harworth Group) moving out. Even at this level, the centre still operates at a profit. Rotherham Council's regeneration arm, RiDO will be involved with the management of the asset, using its experience from the management of the Council's Business Incubation Centre network. This role is currently filled by Creative Space Management, who have a contract until March 31 2018.